Dubai is one of the best cities for photography, especially because of its skylines, cultural diversity, and architecture. The city is dynamic, with lot of movement whether be it cars or boats. But before you start city-snapping, always make sure you have your permits in place to take pictures – whether that is permission from people or from certain locations like rooftops. Do not do illegal photography! Whether you are phone user or a professional photographer, choose the right time to take photos. I personally recommend taking photos during the ‘Blue Hour’ which is essentially after sunset – in Dubai, the Blue Hour lasts for only 10 minutes but the hues and the colours that you get in these few minutes are just beautiful and can make for great compositions. Invest in a good SLR or a DSLR camera and also a lens. I use tilt shift lens so I can control perspective and get less distortion in my photos. 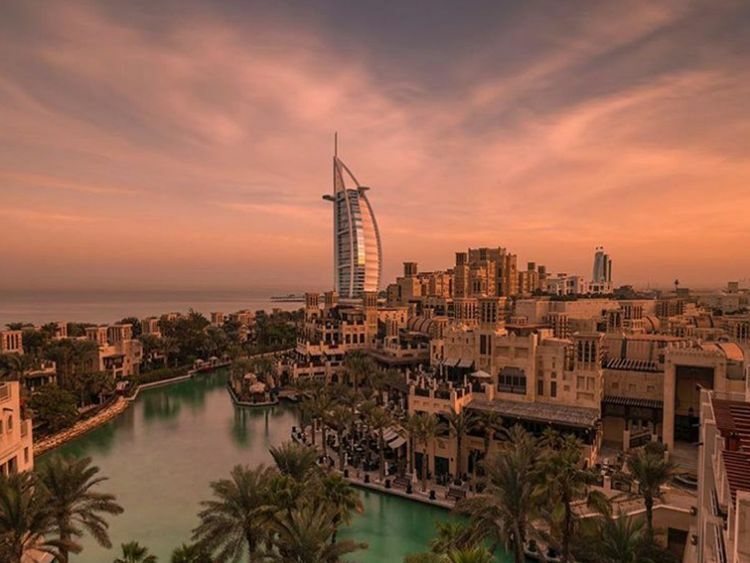 In Dubai, you need an Ultra-Wide-Angle lens to capture the huge skyline here. Also, implement digital blending in the post production phase, to control highlights, shadows, and tones. You can find a lot of tutorials on YouTube on the topic. It’s also important to choose the right angle for your photographs and get a tripod especially for long exposure photos. Long exposure is beautiful to use in Dubai because of the water and clouds here. One of the major challenges in Dubai is the weather- from March till September, we have great light but heavy humidity and heat which can be annoying for photographers, but sometimes you can get beautiful pictures on a hazy summer morning and during sunrise. It’s all about using these conditions to your advantage. It helps when you start understanding light and learning to use it as a backlight or side light. While taking Instagram-worthy photos is a huge trend, I tend to see a lot of these photos repeated. I encourage people to think outside the box, go and look for nice compositions and experiment with angles. You don’t need to shoot same angle as someone else shot. Also, I feel, while investing in equipment is good what is more important is investing in education and experience. Dubai is a great place to take part in activities like photography walks, workshops - when you shoot with others, you learn from others; this can add great value to you as an artist.